If you want to own your own salon it may seem like an impossible dream, but here at Salon and Spa Galleria, we can make it come true. Want to own your own beauty salon in Irving, Keller, or owning our own salon in Southlake we have the right suite for you. We have different sizes and lease terms available for you. In all of our suites, we customize it with a sink or shampoo bowl whichever one best fits you. We also encourage you to decorate, paint, and add your own little touch to your suite to make you and your clients feel at home. And as a special treat from us to you, we put a 32- inch TV with Direct TV hook up for you to enjoy between clients and your clients to enjoy while they are in your hair or waiting to be done the processing. We have 24-hour access to 24-hour surveillance to ensure the safety of you and your clients as well as the safekeeping of your suite. Our Salon and Spa Gallerias have washer and dryers and we provide the detergent so you can wash your towels and capes at work instead of having to take them home. Salon jobs in Grapevine and salon jobs in Keller, as well as salon jobs in Irving, are great locations get the business up and running. Salon jobs in Arlington and salon jobs in Fort Worth are prime locations and have easy access to the salon itself. Make an appointment with our leasing manager and see what we have to offer. We can guarantee you will be happy with what we have to offer and will enjoy the atmosphere in each of our Salon and Spa Gallerias. 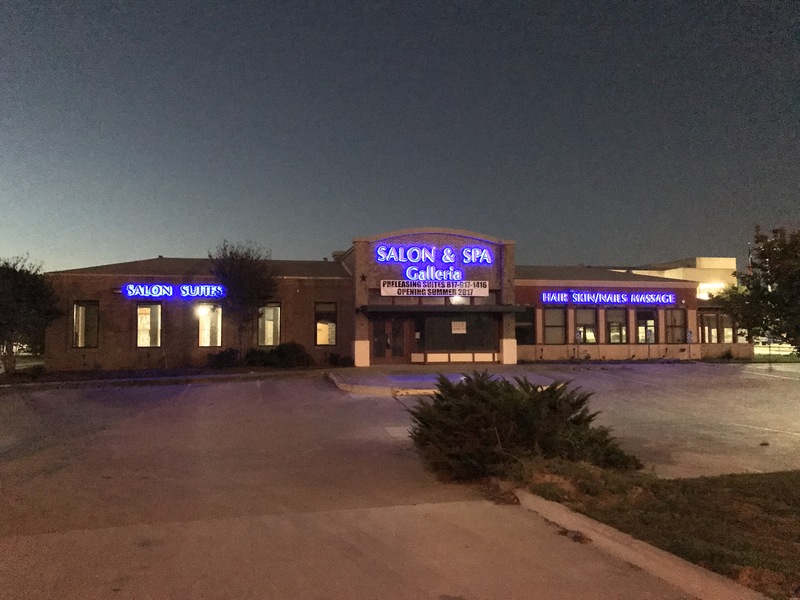 Salon and Spa Galleria Mansfield is just one of our many locations you can start working for yourself. We have a location in Grapevine which has a full-time concierge, two in Fort Worth, and one in Arlington. We offer spa rooms or rent in Arlington, Grapevine, and Fort Worth and spa rooms for rent in Mansfield. If you are located in surrounding areas and are looking for spa rooms for rent Irving, Southlake or Keller you should take the short drive to our location in Grapevine and see why we are number one in the industry. All of our suites and spa rooms are a move in ready and have twenty 24-hour securities just for you and your client’s safety on those late nights. We can help you get that idea of owning your own salon or spa out of your head and actually make it happen. We have great move-in specials are so good right now and you will be pleased with all we have to offer at all of our locations. Salon jobs are good for starting out when you graduate but what about owning your own salon? Do you ask yourself how to own your own beauty salon Keller? Salon and Spa Galleria has many locations to better service where you want to be located.